Diana helps the students to explore outside the studio, broadening their horizons through extensive knowledge of historic decorative interiors. With her infectious, enthusiasm and energy, she reveals the context of contemporary work within the history of design. 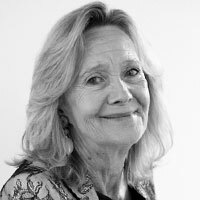 Diana works as a consultant to architects, designers and private clients, and lectures regularly in France, Italy and Spain as well as to the National Trust, Christies Education and the Inchbald School of Design.